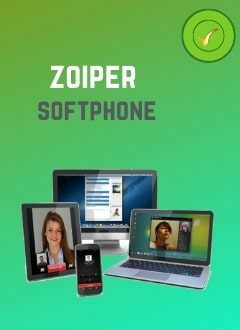 Lola Gonzalo is a spanish virtual receptionist to manage your phone calls, agenda, answer chat from your website, publish content, create segmented databases, etc. Professional experience: Customer service for mobile phone providers. If you are interested in Lola Gonzalo's profile, you must subscribe to this service. As soon as your payment is made, Lola Gonzalo will receive your order and will contact you to organize the campaign. You can also contact Lola Gonzalo to make sure she fits your needs before signing up. As part of a call-out campaign, you must provide Lola Gonzalo with the sip account, which will allow her to make calls. You can use a Hivoox sip line or another voip provider for calls. If Lola Gonzalo does not finish the campaign or if you wish to stop working with the sales agent for various reasons, only the days worked (calculated via your Hivoox interface and the call log) will be paid to Lola Gonzalo and the difference will be refunded. Hivoox will cash you 30 euros as management fees. You can only request the cancellation of your order and the refund of the amount paid within 5 days after the start of the campaign. The beginning of the campaign must be notified to Hivoox by you and Lola Gonzalo via email. In this case, only the 5 days will be paid to the sales agent and the difference will be refunded. Hivoox will cash you 30 euros as management fee.